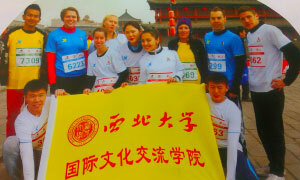 Northwest University is a top University in Xi’an City in Shaanxi province offering programs to international students to learn Chinese and Chemistry PhD programs in English. 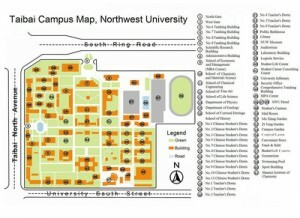 There are two campuses at Northwest University, a North and a South campus. There are about 600 international students at Northwest University. 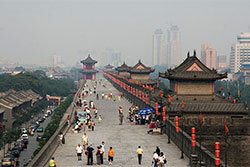 Xi’an is an ancient capital of China during and the start of the famous silk road. 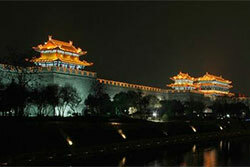 It is also the home to the famous Terracotta Warriors. 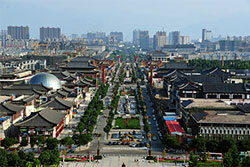 Xi’an is the largest city in Northwest China, and is developing considerably in recent years as part of China’s “Go West Campagn”. Xi’an has re-emerged as an important cultural, industrial and educational centre of the central-northwest region, with facilities for research and development, national security and China’s space exploration program. University was one of the 14 comprehensive universities under the direct administration of the central government’s Ministry of Education. In 1958, the University came under the administration of the Shaanxi Provincial Government. 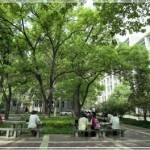 In 1978, it was designated as one of the key universities in China. Currently, the University is one of China’s leading comprehensive, multi-disciplinary universities of liberal arts, sciences, engineering, management, law and medicine, with equal emphasis on both teaching and research. It is also one of the institutions of higher learning listed in the State’s Project 211, and one of the universities supported by the State in its western China development campaign. In order to attract more excellent Ph.D international candidates to study at Northwest University, promote cultural exchange among the countries along the Silk Road and the internationalization of NWU, Northwest University set up the International Students Silk Road Scholarship. 2. Applicants should have master degree or above, aged below 45. 3. Applicants should achieve average score above 75% during master study period. 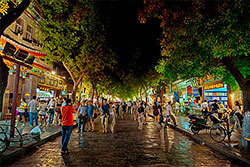 1) For Chinese Taught Programs, applicants should have HSK 5 Certificate when apply. 5. Applicants should graduate from International well-known universities (Both Undergraduate and Master Level). Scientific invention patent holders or applicants who had published papers in world known papers or magazines are highly preferred. classrooms on North campus, South Campus, and Taoyuan Campus respectively. There are 4 teaching buildings on North Campus providing 94 classrooms and 8482 seats, including 60 multimedia classrooms with 5162 seats. Another 4 teaching buildings are located on South Campus providing 150 classrooms and 13989 seats, including 47 multimedia classrooms with 6664 seats. The rest 3 teaching buildings are on Taoyuan campus with a total of 63 classrooms and 8405 seats, including 17 multimedia classrooms with 3308 seats. connecting the students and the school under the guidance and leaderships of the NWU Party Committee and CYL-NWU. The fundamental purpose of the Student Union is to service the students whole-heartedly in a way of “self-educating, self-managing, self-servicing”. With improving the overall quality of the students as its core work, the Student Union works actively by enriching the campus life, preserving students’ rights and interests and guiding students’ ideas. Forty-seven student committees are affiliated to the Student Union in the Northwest, classified into social practices, literatures and arts, academics and researches, and sports and entertainments. 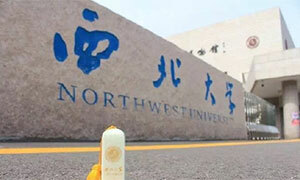 All the students in the Northwest University are encouraged to participate in the extracurricular life on campus. Northwest University has two campuses. These are Chang’an Campus, and Taibai Campus. The maps for these campuses can be seen below. Click the images below to download. "We feel like VIPs at NWU. The staff members are friendly and kind-hearted. We really like the relaxed and happy atmosphere here."